Following a spring residency at Bora Bora, 29 year-old director and choreographer Troels Primdahl is ready to give audiences a glimpse of his transdisciplinary practice, where ‘abandonment of the self’ has been the central conceptual focus. The first results from a number of collaborations across disciplines such as dance, contemporary music, scenography, costume design, film and technology are now ready to be presented on stage! ‘Journals’ is a series of kaleidocopic scenarios from rigorous minimalism, through live filmic suspense to primal crowd psychology. Divisive modes of expression meet to create a state of mysterious reverie, where an insisting ‘wake-up-call’ can seem both disturbing and timely. Who wishes to wake up and who prefers to carry on dreaming? A new generation of budding and talented creatives pose the question. A) Tuesday: Critical debate session after the show with the artistic director of Bora Bora Jesper De Neergaard as moderator. B) Wednesday: Live review on stage directly after the show with choreographer and art critic Helle Bach. - Dancers: Jonathan Ibsen, Louisa Field, Molly Nyeland, Pernille Malou Konzack Sørensen, Ragna Maria Husted, Rose Risager. - Composers and musicians: Allan Gravgaard Madsen, Filip Johan Arnestad, Kaj Duncan David, Marie Sønderskov, Sofia Olsson. - Costume designers: Anna von Aabling, Jane Pedersen, Karole Marie Pouvreau. - Interaction designers: Lærke Vilain Ditlev, Nils Rungholm Jensen. - Light design and scenography: Peer Mariboe, Sten Baadsgård. - Make-up artist: Lidia Bonaria Bassero. The project is a collaboration between Primdahl & Schwarz and Bora Bora – Dans og visuelt teater realised with support from AUT, DATS – landsforeningen for dramatisk virksomhed, Aarhus Filmværksted and Aarhus Kommune. 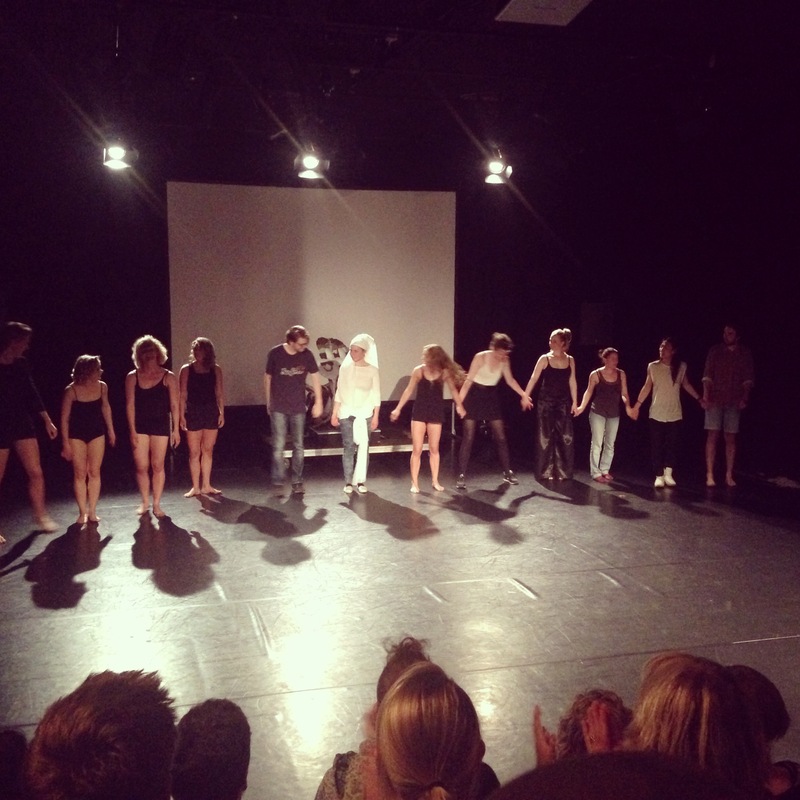 Applause after the last show.